Lecture: "Sustainability: A Game-Based Learning Alternative for Sustainable Development"
Sustainability is a strategy board game that aims to promote ecological thinking for sustainable development. The game dynamics are based on real-world statistics; this allows players to better visualize connections between socioeconomic development and resource consumption. Each player represents a country that has to manage its resources to move towards the Sustainability Quadrant, a place in the game board where Socioeconomic Development is High and Resource Consumption is Low. Players must invest their limited monetary resources by "playing" different public policy cards. The success or failure of each of these policies is conditioned by an uncertainty factor (rolling the dice), which was determined by a statistical analysis of more than 700 global metrics. These policies fall into several development categories, such as education, health, conservation, energy, industry, agriculture, infrastructure, transportation, trade, demographics, etc. 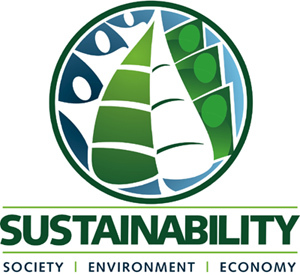 Co-sponsored by Global City, Sustainable Futures Institute, Dept. of Civil & Environmental Engineering, and Graduate Program in Environmental & Energy Policy. Image from NSSGA - http://www.nssga.org.